The Choral Society of West Georgia was created in 2005 by artistic director, Elizabeth Biggs, to offer excellence in community choral music. We are comprised of a diversely rich and varied group of singers who gather weekly to rehearse together to provide the West Georgia and East Alabama areas with outstanding choral concerts. Our multi-generational choir represents a rich cross section of the community population and continues a history of successful and innovative community choral events. The Choral Society encompasses two groups: the LaGrange Civic Choral (SATB) and Bel Canto LaGrange Women’s Ensemble. These choirs provide three full concerts per year as well as performing with the WEST GEORGIA CHORAL ARTS FESTIVAL, which is an outreach choral arts experience in a traditional festival setting. Additionally, these groups have recently represented the community with performances in Lincoln Center and Carnegie Hall. Internationally, members have performed in Dublin, RI and Belfast, NI. Read more under the PAST PERFORMANCES section of this website. Elizabeth (Bettie) W. Biggs is the founder and artistic director of the Choral Society of West Georgia. A native of Charlotte, North Carolina, she taught for twenty-eight years as a music educator in the Troup County School System. Mrs. Biggs holds undergraduate and graduate degrees from the Converse College School of Music and Columbus State University in vocal performance and choral music education. She is an active member of the Georgia Music Educators Association and the American Choral Directors Association. She is currently the discipline expert for The Alabama Institute for Education in the Arts which facilitates teacher education through the fine arts across the Southeast. For more than ten years, Mrs. Biggs has performed with Cantus Columbus, a professional vocal ensemble. She has studied at both the Juilliard School and the Rene Clausen Choral School. Andrew Harry holds a master’s degree in piano performance from Columbus State University, where he studied with Alexander Kobrin, and an undergraduate degree in performance from Bob Jones University. He performs frequently as a solo and collaborative pianist throughout the Midwestern and Southeastern regions of the United States. Currently, Andrew is the Development Director of the Columbus Symphony Orchestra and an adjunct faculty member of LaGrange College. He also maintains a private teaching studio in Columbus, GA and serves on the piano faculty of the Csehy Summer School of Music in Houghton, New York. Eve McKibben is associate accompanist for the Choral Society of West Georgia. 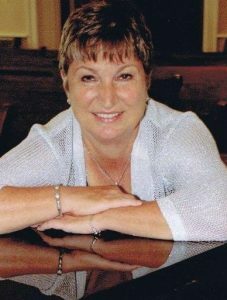 Mrs. McKibben is the organist and choir director for Ebenezer Presbyterian Church in Hogansville, Georgia and staff accompanist for the Sons of LaFayette Male Choir. She holds a Bachelor of Music Education degree from Georgia College and State University. She is an active musical theatre and vocal accompanist throughout the West Georgia area.